The National Memorial for Peace and Justice is now open in Montgomery, Alabama. Documents EJI’s multi-year investigation into racial terror lynching during the period between Reconstruction and World War II. EJI works with communities to recognize the victims of lynching by collecting soil and installing historical markers and monuments at lynching sites across America. 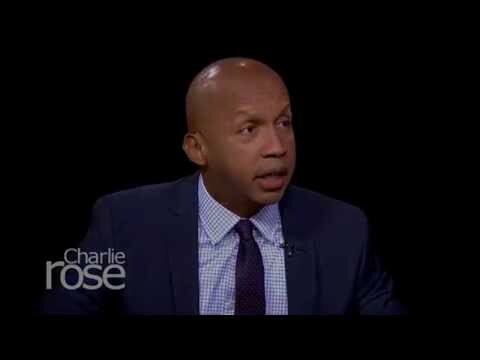 Bryan Stevenson talks to Charlie Rose about the challenge of owning up to America's history of racial injustice -- and why he feels that we cannot let the worst moments of our nation's history define us. Bryan Stevenson talks to Alex Wagner on MSNBC about a horrific aspect of America's relationship with race: lynchings that took place with alarming frequency throughout the 19th and 20th centuries. How the lynching of James Jordan in Waverly, Virginia, on March 20, 1925, continues to impact local residents today. Jesmyn Ward, a young writer and native of Mississippi, writes in this New York Times op-ed about historical memory of racial terror.